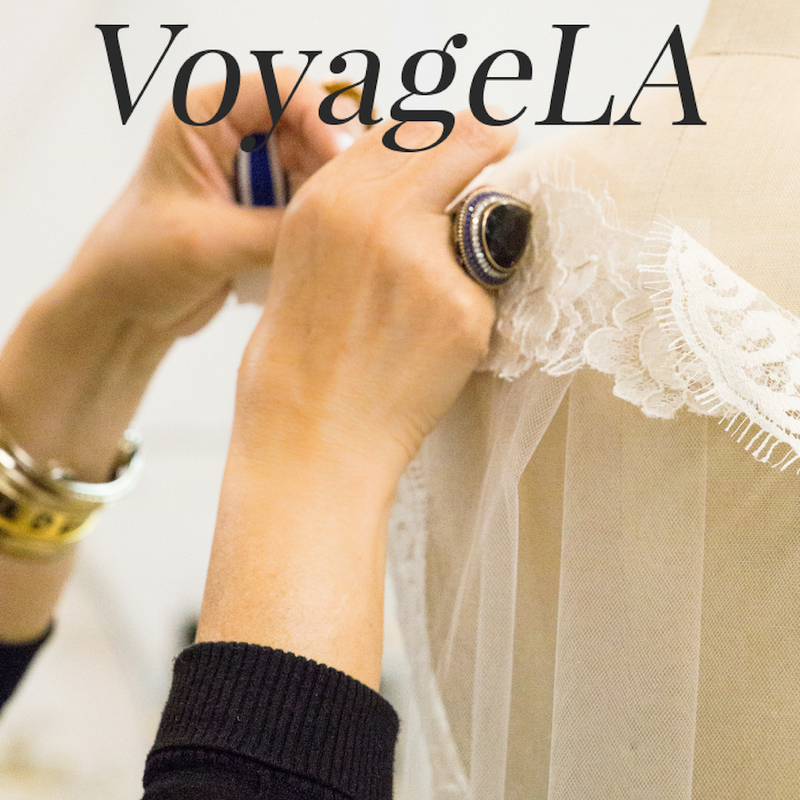 RMINE founder and bespoke gown designer Armine Ohanessian was interviewed and featured on Voyage LA. Below see an excerpt from the interview and head over to Voyage LA to read the entire interview. "RMINE – what should we know? What do you guys do best? What sets you apart from the competition? When I first opened my boutique, I was carrying a variety of couture designers along with creating my own designs. However, close to almost 7 years ago I began solely focusing on my designs. I think there really was a turn in how brides were wanting to experience the whole process of choosing a wedding gown. Many of my brides really wanted to set themselves apart and have a unique gown, something that had never been done or worn before. [...] A lot of times I am asked the question “what is the trend in bridal”? I don’t think there is a trend in bridal, I think every bridal gown needs to be timeless, classic, with an edgy touch, and most importantly it is to bring out the beautiful features and personality of each bride. I believe in simplicity, when brides walk down the aisle, guests need to see the bride first, not her gown, or flowers or any other details. However, when it comes to our evening collection, I see that differently… I love mixing colors, textures, very edgy, but still classic. What sets me apart is that although we have a variety of styles, from bridal to color and evening gowns in the studio, we always work with our clients to design a gown that fits their personality, occasion, and venue."